Libraries - Summer reading / thematic curriculum available! 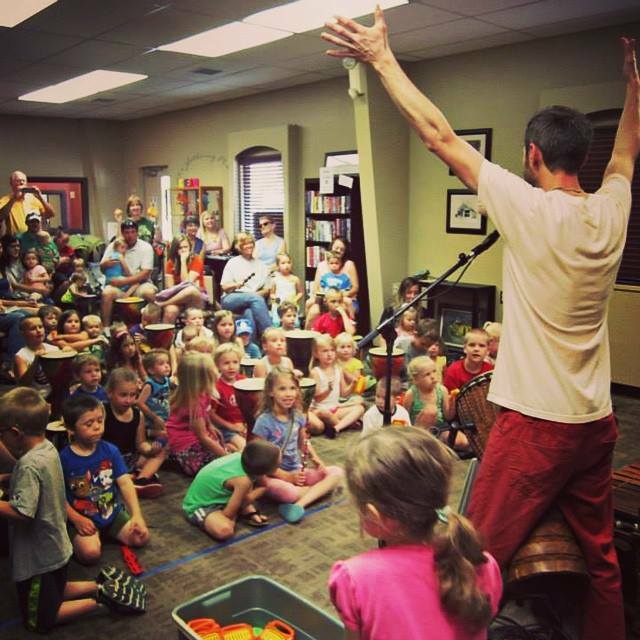 Pre-Schools - An interactive, musical adventure for children ages 2-5 years! This summer, join the DRUM SAFARI as we blast off to the stars (and beyond)! We'll bring along all of your favorite drums and a few mysterious instruments from another galaxy! Dance your way through the solar system, and find out what makes gravity SO groovy! Explore the rhythms of our universe with Drum Safari! This summer, Drum Safari invites you to explore the fascinating world of S.T.E.A.M. (Science, Technology, Engineering, Art, and Math) while DISCOVERING amazing facts about our planet, DRUMMING, and DANCING to rhythms from around the world! This high-energy, interactive program will encourage young minds to think creatively! S.T.E.A.M. concepts will be introduced through FUN and engaging rhythms… let the S.T.E.A.M. JAM begin! We’ll explore the Engineering Design Process and “experiment” with our instruments, creatively reinforce and encourage literacy skills, and strengthen our communities by connecting (and ROCKING OUT) with new friends and neighbors! During this high-energy, interactive performance, children are invited to join a musical “safari” where they meet different animals from all over the world each set to rhythm. After meeting the animals, each child is given a percussion instrument… and the jungle jam begins! As the rhythms of the animals lock together, an exciting sense of community begins to develop. 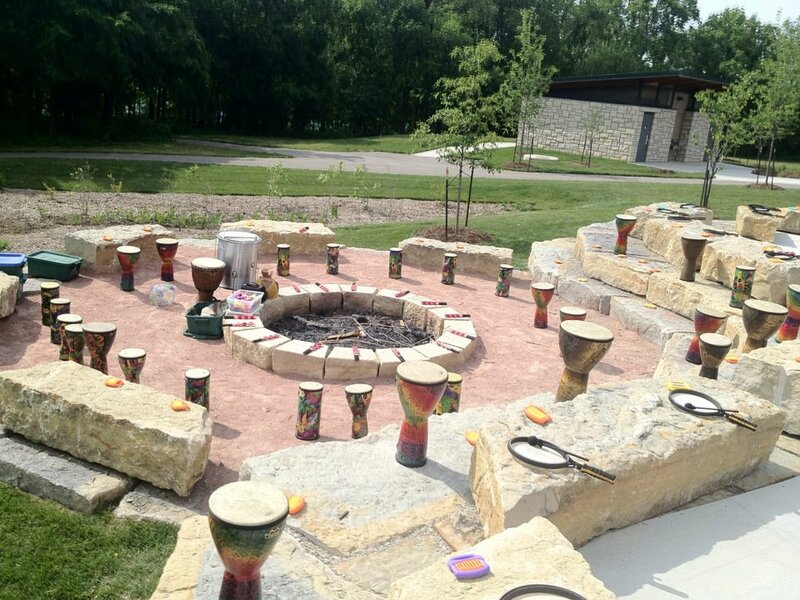 This program includes interactive songs, dancing, and, of course, DRUMMING! 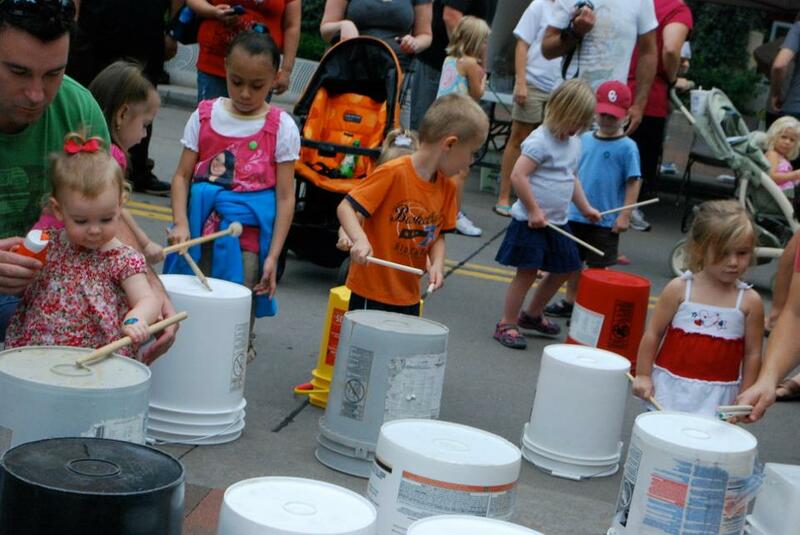 This program is designed as a “flash mob” with Stomp-style buckets, cans, and found sounds. 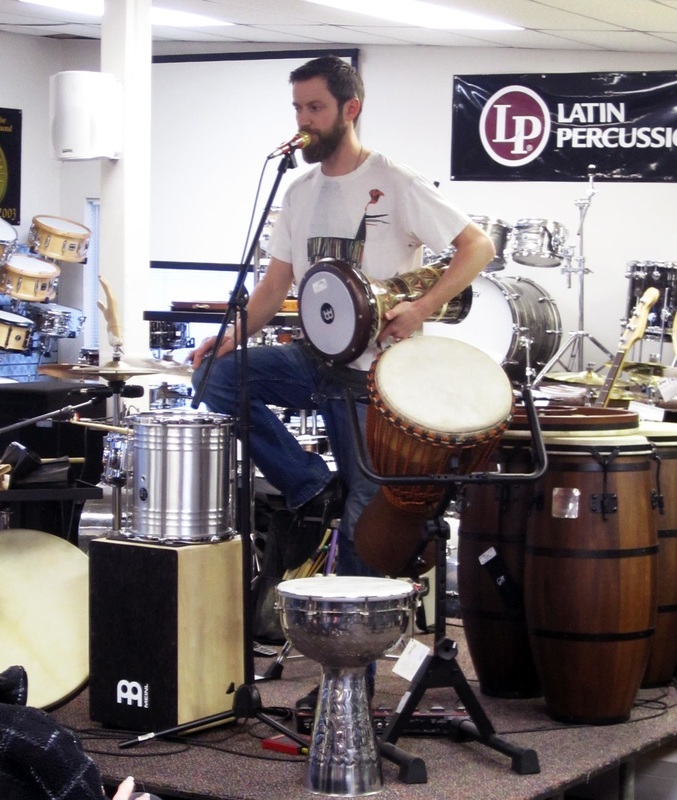 These world-class percussionists bring a mixed assortment of “instruments” and impromptu group facilitation techniques to get the audience playing together! It’s FUN, exciting, and unpredictable! This 50 minute program is for children ages 1-100. Hand percussion instruments are provided for all participants. Brandon uses games, humor, non-verbal communication and lots of energy to bring groups together with rhythm. A rare musical experience you’ll NEVER forget! Brandon creates “loops” using a collection of exotic instruments (including didjerido from Australia, Kanjira from India, assorted drums, bass, guitar, voice, and laptop). On site building of a “car size” musical mobile in which the community is asked to bring in recycled items to add to and help build. Children and families then can "jam" throughout activity grounds. During an event the JAM WAGON is pushed around the site and festival goers are invited to Jam along! Children work with certified Drum Safaritm staff to create and design shakers and rhythm wands that they can take home with them. All materials are recycled and supplied.